Hordes of Things: Oh my goodness! - Plastic Skinnerz and Humans! 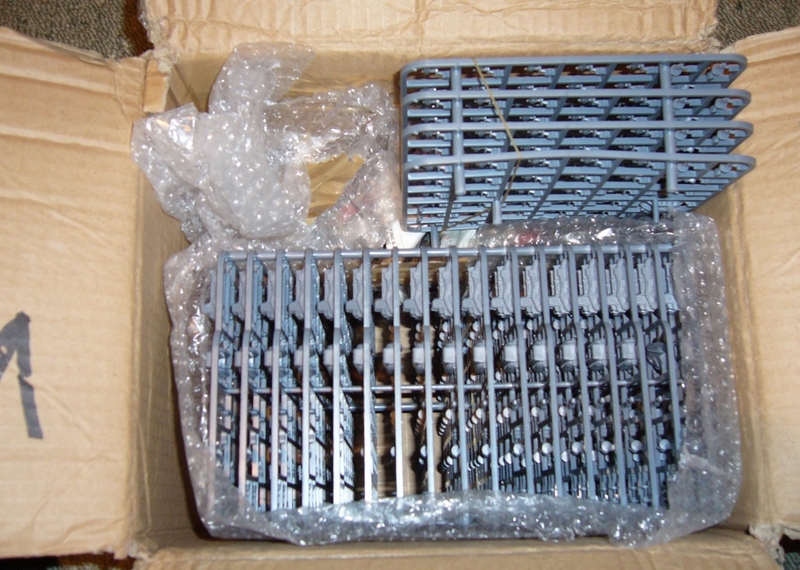 Hard to believe, but after a very long wait an order of plastic Skinnerz and Humans has arrived! What's the story here? These were commissioned by figure designer Ben Skinner (whose name was given by popular vote to the Skinnerz race he produced! ), in an Indiegogo campaign a very long time ago. 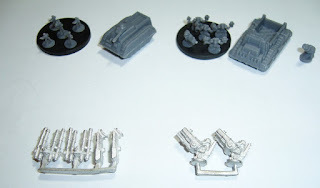 It was done with a very noble motive, with much support from the 6mm sci-fi community (in particular Epic players), with the aim of producing a basic starter box set in affordable plastics for new players to 6mm sci-fi. Humans and ape-like barbarians with basic fighting vehicle for each. It was done at the time Games Workshop stopped producing Epic (they have since stopped producing a heck of a lot of things and who knows where they will end up). Ben had no problems in delivering all of many superb metal models he designed on time, but he ran into a series of unfortunate problems in producing the plastics. This included being overcharged by companies in the UK, then molds getting lost in China, warped product being delivered and so on. It was a series of disasters. I understand it really got to the poor chap and he ended up very stressed and unwell. Really I would have completely understood if he had just said sorry it had gone very wrong due to factors outside his control and dropped the plastics. I mean you have to accept when you fund these things that there are no guarantees with new business ventures like this, and I would have totally accepted it as part of the risk and just been happy that we ended up with all the metal ranges we had helped fund. 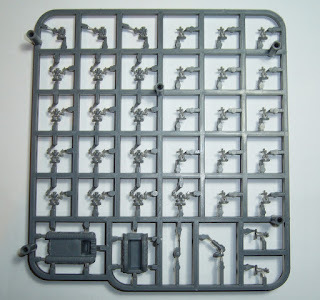 As it turned out Ben eventually sold the company and all rights to the models to Vanguard Miniatures recently, who fortunately are now producing the excellent Defeat in Detail range and expanding it! And Ben is still sculpting for them so thank goodness for that. Looks like a very positive arrangement. That's the backstory, but Ben has persevered over almost 3 years, and eventually got these things made, and hence this big box of them arrived today against all expectations! Woohoo! 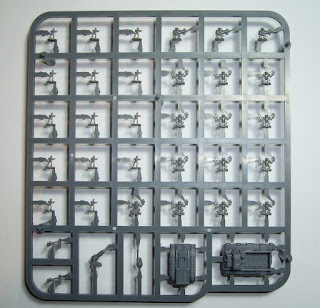 The sprues contain 16 humans and 16 aliens, plus a vehicle for each race. The humans have two heavy weapon troopers, and the aliens 3 heavy weapon troopers. There is also an optional mortar type gun which could be used by either side or mounted on one of the vehicles. They also come with 25mm round plastic bases. 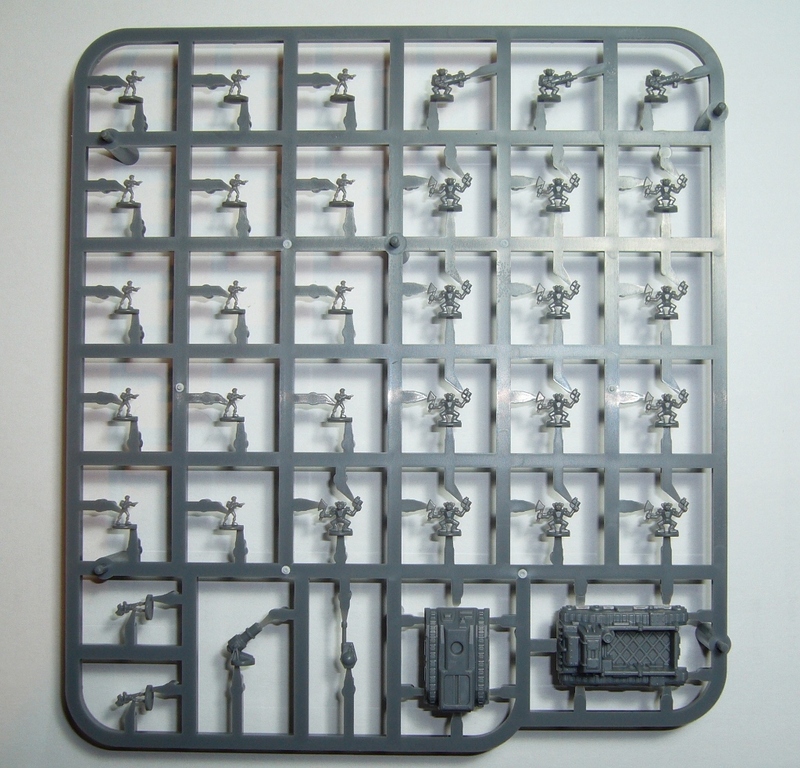 View from back of the sprue. There were also a number of special metal upgrade options made for the vehicles. I got the anti-aircraft versions, and here are the guns for both humans and aliens. Very nicely done. 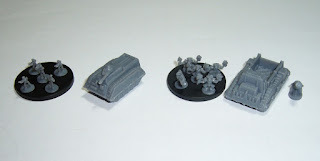 There were also artillery pieces made but I didn't get those. So overall I'm pretty happy to finally get these and I'm looking forward to painting some up. In particular I love having the plastic vehicles, which I find so much more convenient than metals. Kind of worth buying the sprues just for these for my own purposes anyway. 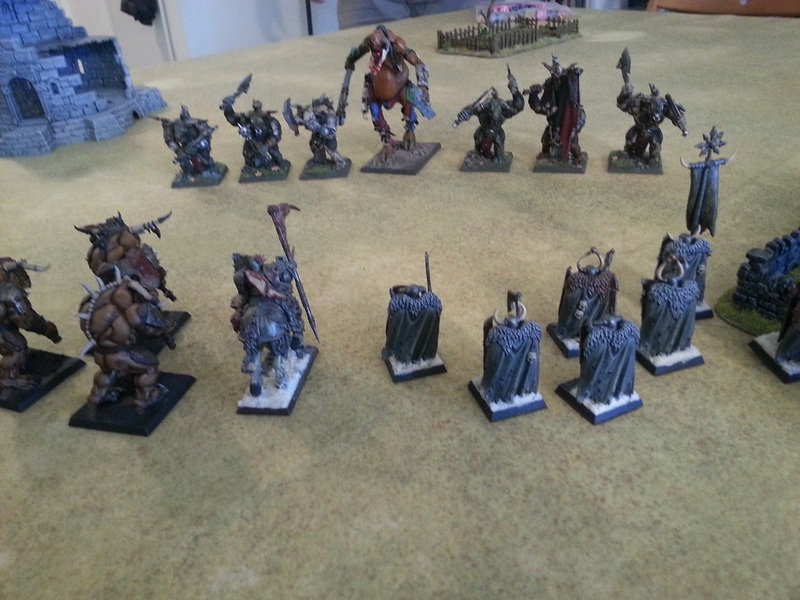 Plus I needed some more orcs - always need more orcs! (Edit) And as requested in comments, here are some size comparison pictures with old Epic figures! They look great. In size how do they compare to say Epic 40k Ork sizes? as some 6mm can vary slightly in size? Good idea, added! Orcs and humans came in all sorts of different sizes of course, but I've added a selection in a couple of photos, cheers. So where can one buy these? I can't find them on Vanguard's page.